Sharon and Fred Lundahl have circled the world, many times. Both retired diplomats, they each spent 30 years in the foreign service—the last 10 of it together in central Asia. 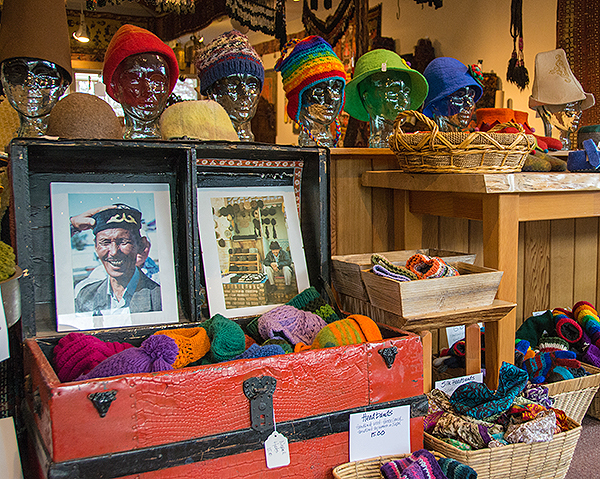 When they retired to Whidbey 11 years ago, they decided to open a store that would allow them to keep up their travels, make a few bucks and do good in the world. 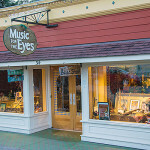 Music for the Eyes on First Street in Langley is that store. And travel they have. 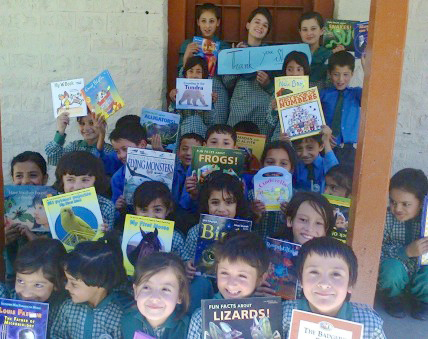 From Pakistan to Tibet to Argentina (this year’s journey), Fred and Sharon love to visit other cultures, make connections and help where they can. They have done that in a number of ways—first, by becoming indispensable figures in the local community. Fred has been president of the Langley Chamber of Commerce, helped found the Langley Main Street Association and is a driving force in the Langley Whale Center. 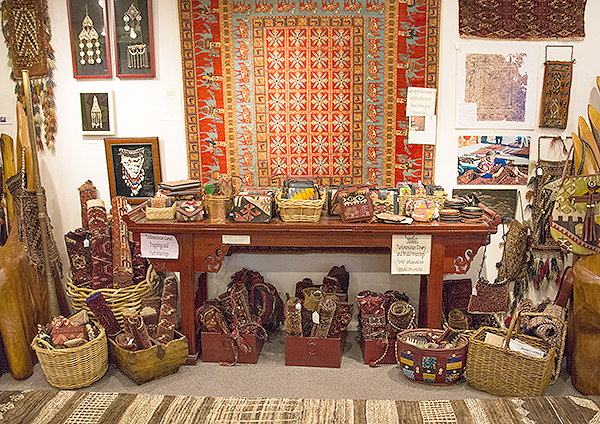 Secondly, they contract with artisans from all over the world to create unique rugs, jewelry and gifts for their store and, in so doing, provide a livelihood for these artists and craftspeople. One such contract stands out as especially inspirational. While working in Islamabad, Sharon met Didar Ali, a businessman and liberal Muslim from the Hunza Valley in Pakistan. The Hunza region of Northern Pakistan is a remote, beautiful place with eight of the world’s highest mountains. Didar owned a workshop in his village where women created wool needlepoint cushions made from natural dyes. 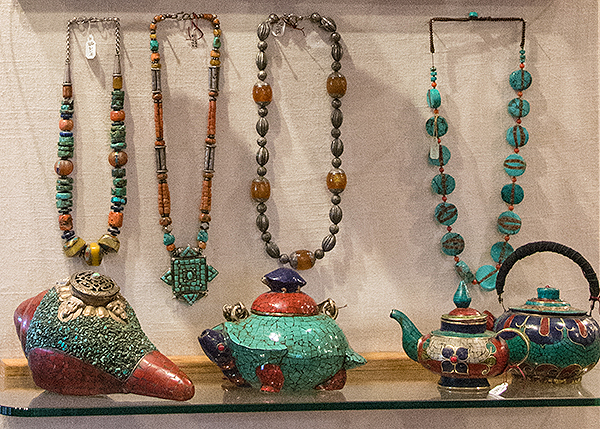 Sharon and Fred began purchasing these lovely pieces from Didar Ali to stock their new store. 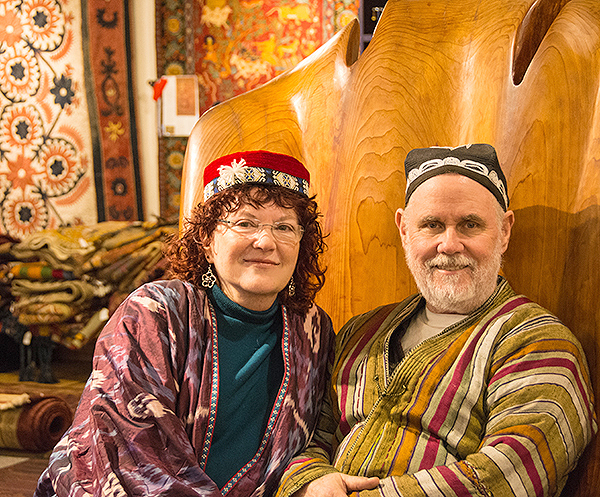 Soon the relationship grew to include hand dyed rugs, which Sharon helped design. 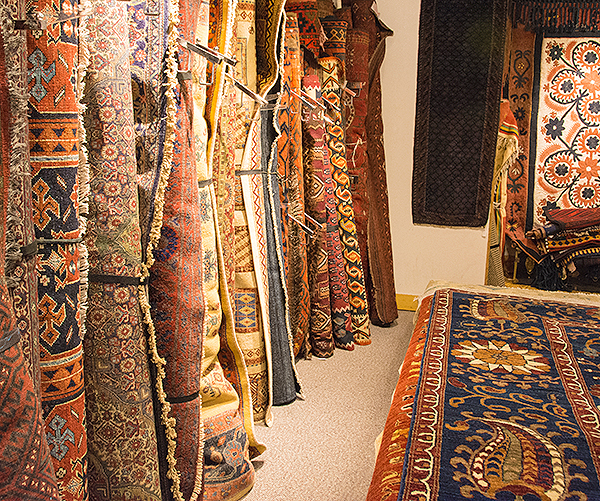 “Now there are 250 women weavers, creating rugs for Music for the Eyes,” Sharon said. 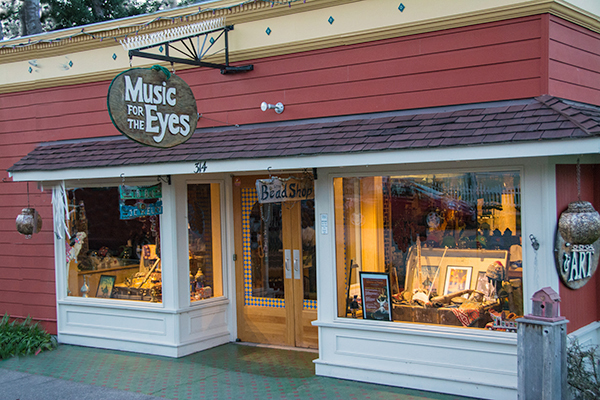 Besides rugs, a visitor to Music for the Eyes will find the whimsical and wonderful. 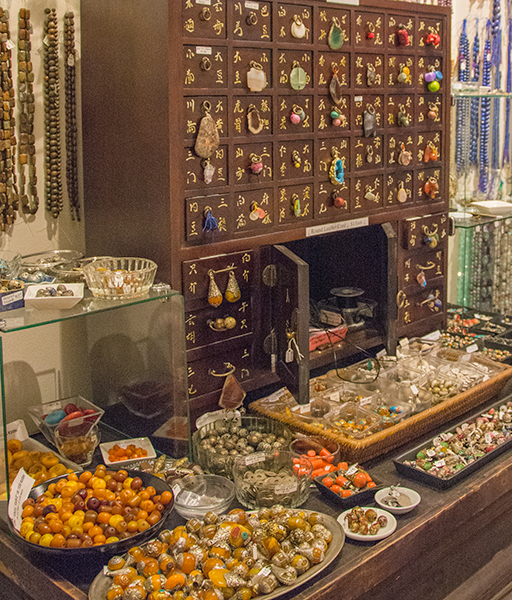 An extensive bead collection fills the back of the store. “I started out making my own jewelry,” Sharon said. “Whatever beads I had left over I’d put out to sell. They’d be gone so quickly, I decided to bring in more stock.” The plethora of colors and variety is visually stunning and a beader’s dream. Art, textiles, antiques, artifacts, scarves, jewelry… Music for the Eyes is an international symphony, led by two world-traveling conductors. 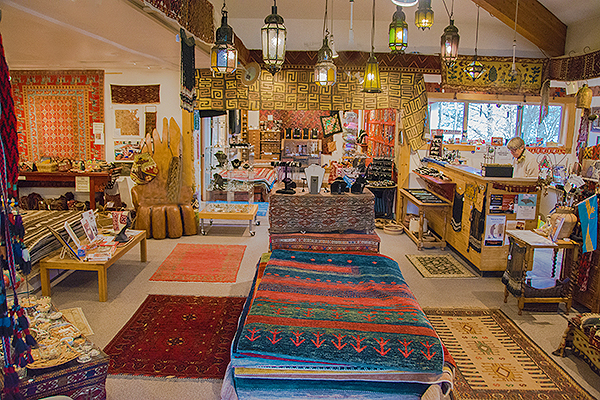 Stop in for a virtual tour around the world, today. For a link to the Music for the Eyes blog post about the Hunza project, click here. Penny Webb is a writer, musician, mom, and gardener. She is currently rewriting her story. 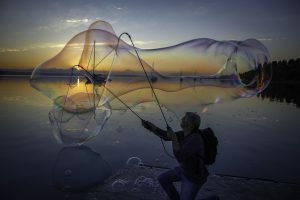 Entertaining story and marvelous photos. I thought it would be impossible to do justice to the interior of Music, but Marsha Morgan managed it. It is a shame that charm and heart cannot be bottled. It would let me take Music for the Eyes home with me. I guess I will just have to settle for my stunning rug :-). I love these two wonderful people. I remember when they came to the Island and immediately became a part of the Island fabric (pun intended :)), supporting the community from the first day they arrived. What a fantastic article and brilliant pictures that capture the essence of Music for the Eyes. Thank you for sharing!